International Bath & Tile’s mid-year plumbing sale has started, and we’re offering deals you don’t want to pass up. ALL our major brands are reduced in price, including high-end lines such as Dornbracht to more “entry-level” designs such as Meridian faucets by Graff. We’re talking big markdowns —from 30-50% off! We invite you to visit our showrooms and participate in this great month of promotion. Here’s a preview of some of the brands you can find on sale right now. The exquisite Italian design company can be used in both residential and commercial projects. Their contemporary faucets are already well priced, so you’ll really get a steal during this month’s sale. Aquabrass also has great availability, so come in soon, and you can get started on your project almost immediately! 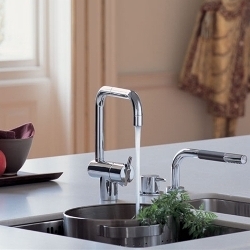 Many people know about Delta Faucet, which has great durability and availability. Brizo is Delta’s luxury brand, and architects and designers love it. It’s the go-to look for the restaurant and the hotel industries, partly because the brand carries matching accessories so you can design a complete look. 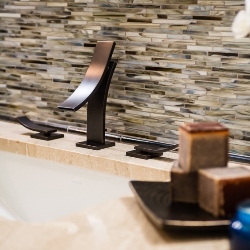 If you want options, you must check out our stock of California Faucets. The brand carries more than 40 different finishes to choose from. On top of that, they also offer immediate delivery and excellent customer service. 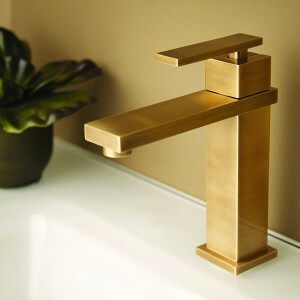 Graff Faucets come straight from the Midwest—Wisconsin to be exact. 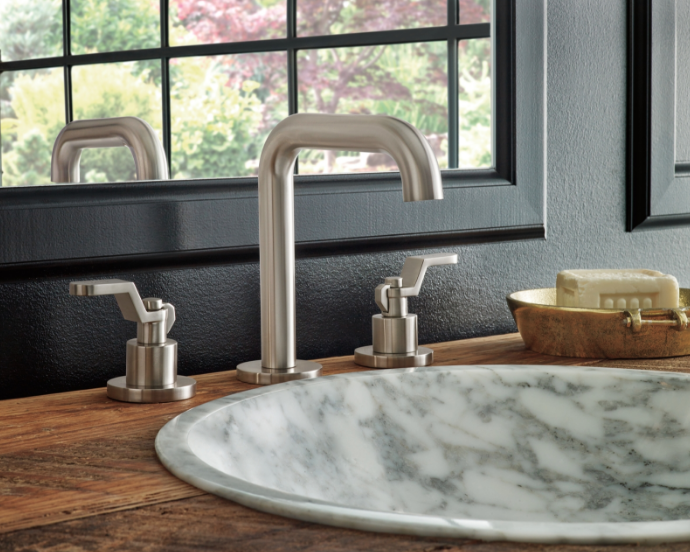 The American-made brand is known for its contemporary designs, but it’s now introducing traditional faucets to its collection. At IBT, we’ve seen some very successful commercial projects completed with Graff, and their quality and customer service are top-of-the-line. Whether it’s a residential or commercial project, the brand offers a quick turnaround and service, so you can start your project right away. Hansgrohe is world-renown and is known for its German quality. Not only will we have Hansgrohe’s regular collection on sale, but we’ll even have the brand’s luxurious Axor Starck V faucets, designed by Philippe Starck, at discounted prices. At the HD Show earlier this year, the brand announced a whole slew of new finishes, like copper, brass, and pewter—all of which will be on sale. With more than 45 finishes plus lavatory and tub sets and accessories, you can get everything you need from Newport Brass. At IBT, we have the most thorough collection of their line in San Diego, so you can see a wide selection of what they have to offer. 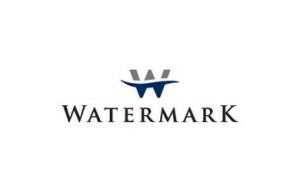 They’re a great local manufacturer with great customer service, and we would be more than happy to help you incorporate their designs into your next residential or commercial project. Santec also offers a wide range of finishes—42 to be exact—and has excellent delivery times. The designs can be very elaborate, with gold and crystal handles, and are an elegant way to class up your space. 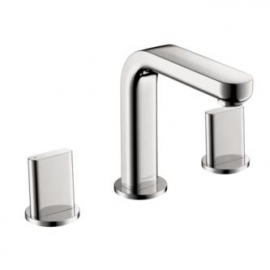 Vola is one of the most popular brands chosen by architects. 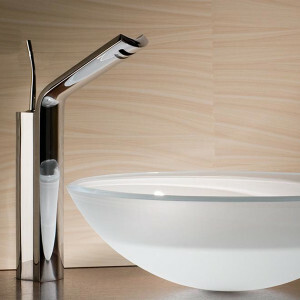 Their faucets are very contemporary, sleek, and elegant, and architects love using the simplistic lines of the designs. We’ve been very successful with several hotel projects using this brand as it offers different finishes like pewter and brass, along with traditional chrome looks. 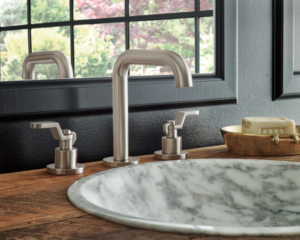 If you need a faucet that has a very cool, rustic aesthetic, look no further than Brooklyn-based Watermark Design. With more than 30 finishes, it’s a favorite among architects and designers. The industrial look makes it perfect for commercial applications like restaurants, and the brand even has designs with a nautical look that is fantastic in luxury yachts. This sale is especially beneficial for designers and architects working on large commercial projects—since IBT works directly with the manufacturers of all these exquisite brands, we can offer special, large-order discounts. No matter what kind of project you’re working on, you do not want to miss this sale. Visit our San Diego or Solana Beach showroom today to get 30-50% off top-of-the-line brands. Our sale ends on August 15, so come in before it’s over! While our entire stock of plumbing is discounted, you can always expect the best customer service at IBT. Our experienced and passionate staff can help you design the space of your dreams with the faucets, accessories, and plumbing you need.